'THE ZONE' is creative, fuels imagination and builds inner resources for dealing with anxiety and stress. 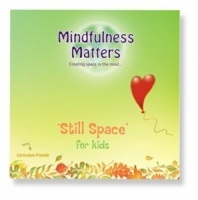 Children just love Mindfulness Matters - The Zone. It is creative, fuels the imagination and builds inner resources for dealing with anxiety and stress. The Zone ticks all the boxes. 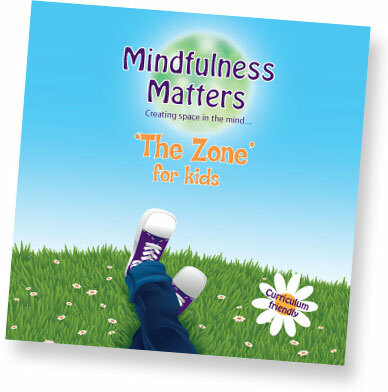 The Zone is a wonderful resource for the classroom, and at home. It is ideal for school and homework preparation, story time and bedtime. Inviting mindfulness into the daily life of children increases their capacity to become still and feel good about themselves. Mindfulness based practices are simple yet profound and create a solid foundation on which to build self worth, compassion and understanding. In'The Zone' children relax and explore through visualisation, affirmation and breathing techniques. It is a wonderful childhood treasure. 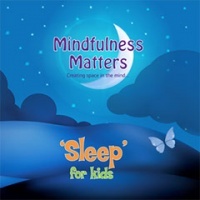 TRACKS INCLUDE: - Adult Introduction, Mindful Moments, Belly Breathing, Breathe and Smile, Exploring the Five Senses, Cool Calm and Confident and Rainbow Discovery.